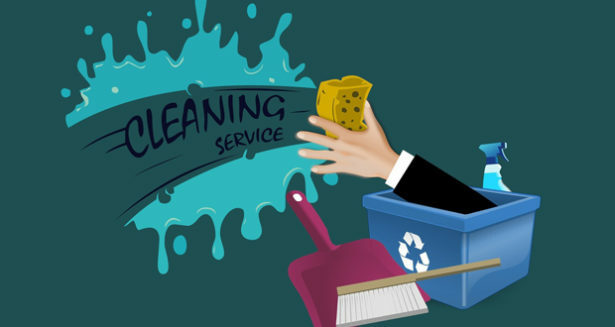 If you are considering hiring a cleaning service, but the potential cost has kept you from going forward, you will be happy to know that it is more affordable than you may think. You likely don’t require someone to come in on a daily basis but only a few times a month. When you look at the benefits and time-saving features, you may change your mind about signing up. With personal, professional and family schedules being as busy as they are in today’s high-speed world, there seem to be fewer hours in the day to get to your cleaning chores done. With a busy family and a full-time work schedule, it can be nearly impossible to keep your home in great shape. For many, hiring a maid service can seem like an unnecessary expense, but considering the time and energy that can be saved with some extra help around the house, the expense is often well worth it. Take a look at some of the top reasons why you should be considering hiring a professional cleaning service to help you out around your own home. The 40-hour work week may be a thing of the past. With the working days getting longer and putting in overtime hours being a priority for some, there is very little personal time left for many people. No one wants to spend those precious hours scrubbing floors or changing bedsheets. With a maid service, you can have more time to relax when you come home from your hectic work day and concentrate on things that are really important to you. Any home with children is likely to be a fast-paced environment. Between work schedules, school and the endless parade of children’s sports and activities, there may be very few hours left in your day for house cleaning. Bringing in some extra cleaning help to handle the bigger things like floor cleaning, laundry and even weekly meal preparation can give you the freedom to enjoy the time with your children with less worries. When you bring your new baby home, everything else that used to be a priority seems to disappear. The care and love of a new infant can be all-encompassing as well as exhausting. It’s easy for new parents to feel overwhelmed on the best of days, and it becomes nearly impossible to keep up with household chores with a new child in the house. With a part-time maid service, new parents are able to focus their energy on their new family addition and even get a bit more sleep when there are less chores around the house to take care of. At some point, most people feel like there just aren’t enough hours in the day to get everything done. From work projects to weekend sports tournaments for your child’s team, it can seem like you are being pulled in a thousand different directions. When you are already exhausted from a chaotic schedule, thinking about all of the house chores that you still have to finish can put you over the edge. With a cleaning service taking care of the main aspects and deep cleaning needs in your home, you can save a ton of time that is better spent with family and friends or even just on your own.